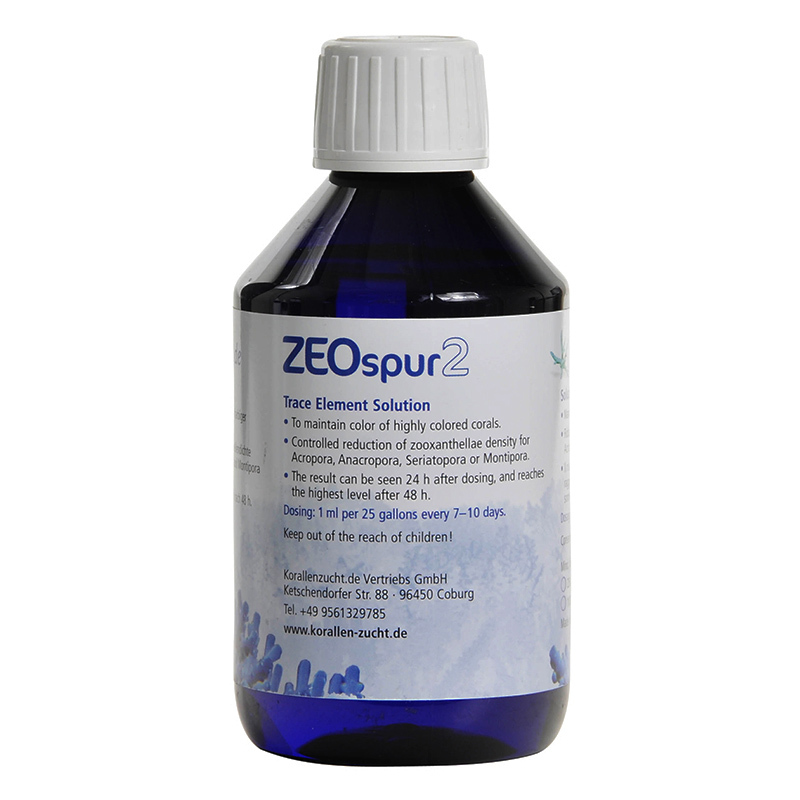 ZEOspur2 contains a solution of intraccia elements with which you can influence and reduce the proliferation of zooxanthellae in coral tissue, making them Extremely colorful, its completion it gets combinaldolo with Zeospur Macroelements concentrated. Keeping an eye on the zooxanthellae, the coral will require less energy so a major push in its growth. Reduction control the amount of zooxanthellae for Acropora, Anacropore and Mantipore. The control of zooxanthellae will thus highlight the colors hidden in the deeper layers of the coral. The results are visible after 24-48 hours after administration. Also recommended in tanks also without ZEOvit.